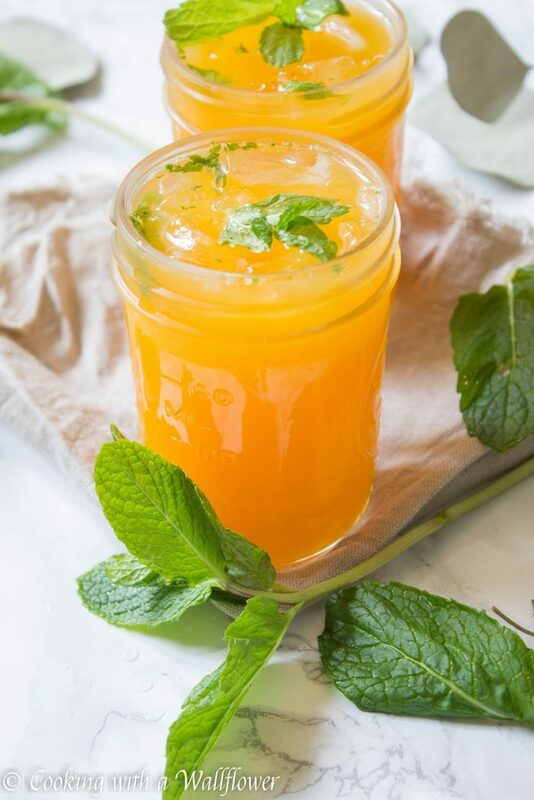 Tangerine juice and mint simple syrup topped with club soda and crushed ice. 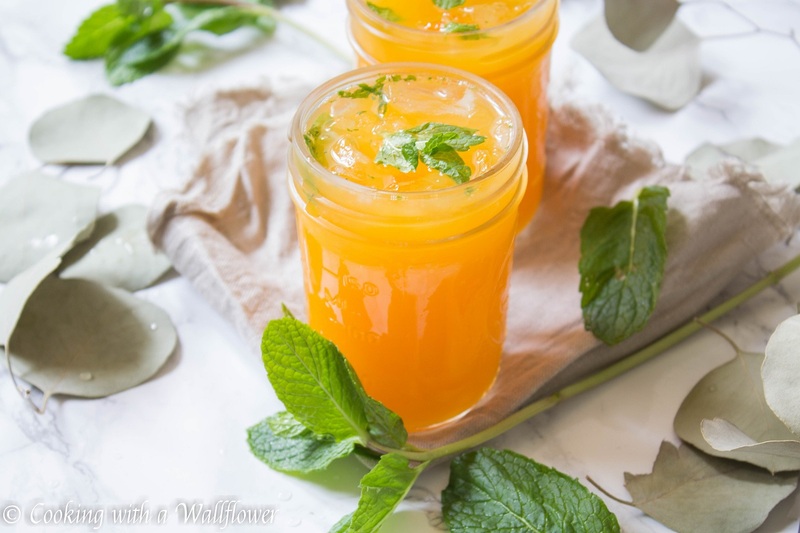 This sparkling tangerine mint soda is the perfect beverage for spring. I can’t believe it’s already May. One more month, and it’ll be summer! Although I swear it just finally turned spring not too long ago… Is it finally spring where you are? Or are you still waiting for the weather to warm up? I’m excited for all that May will bring. There’s Mother’s Day and Memorial Day weekend. I honestly need any reason to celebrate! And there are so many food events coming up. One of which is the SF Matcha Fest. Can you just imagine matcha green tea everything? It sounds absolutely amazing. In the mean time, it’s time for a new recipe. 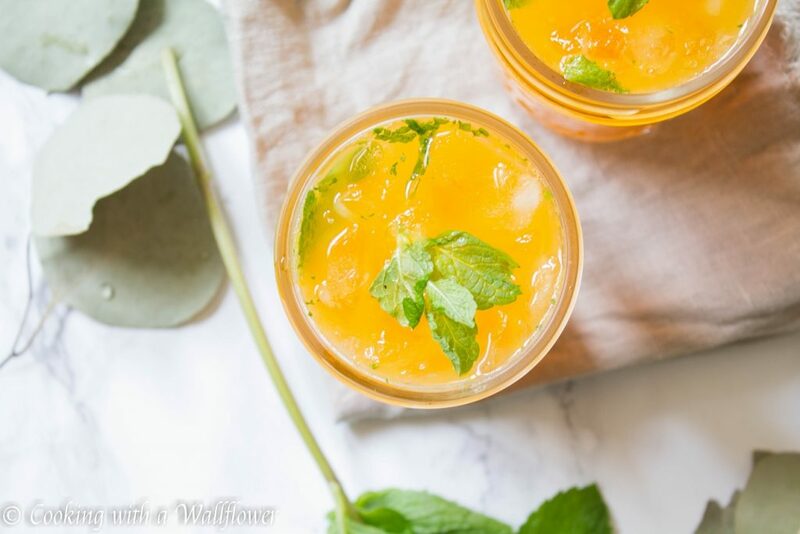 Today, I wanted to share with you a brand new drink that’s just perfect for spring. It’s super easy to make with simple ingredients. 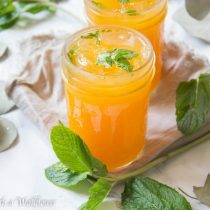 And if you have spring or summer gatherings, this sparkling tangerine mint soda would be the perfect beverage to serve. Or if you’re feeling like a little bubbly in the mornings with brunch, replace the club soda with champagne. This sparkling tangerine mint soda could be the perfect mimosa too. In a small pot, add water, sugar, and several sprigs of mint leaves. Let the mixture heat and boil for about 5-7 minutes. Then turn off the heat. Allow the simple syrup to cool down for several minutes. Remove the mint leaves. There should be about 1/4 cup of mint simple syrup. Pour tangerine juice or clementine juice into a small pitcher or large glass. Add the mint simple syrup into the glass, and stir to incorporate the syrup into the juice. Add mint leaves and use a muddler to break the leaves. Remove some of the leaves. 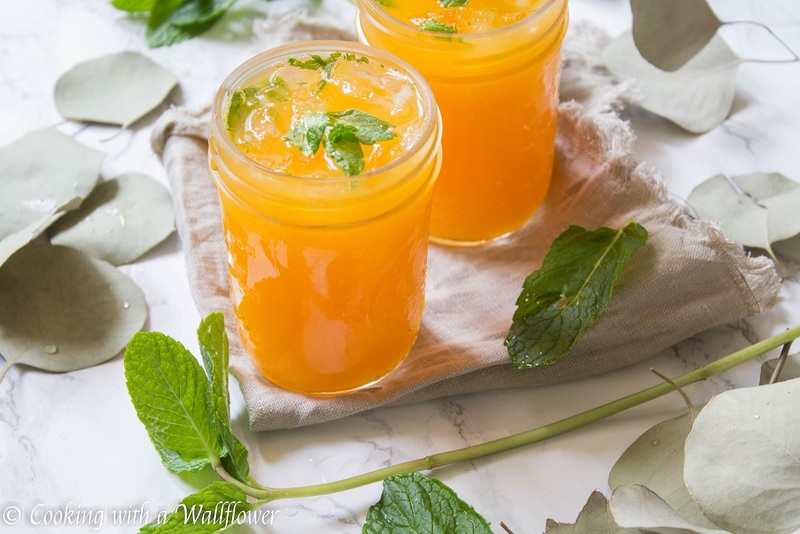 Divide the tangerine mint mixture in two glasses. Top the glasses with club soda and crushed ice. Then garnish with mint leaves. Serve the sparkling tangerine mint soda cold. In a small pot, add water, sugar, and several sprigs of mint leaves. Let the mixture heat and boil for about 5-7 minutes. Then turn off the heat. Allow the simple syrup to cool down for several minutes. Remove the mint leaves. There should be about ¼ cup of mint simple syrup. This entry was posted in Beverages, Cocktails, Gluten Free, Quick and Easy, Recipes, Spring Cravings, Summer Cravings, Vegan, Vegetarian and tagged beverage, gluten free, mocktails, quick and easy, vegan. 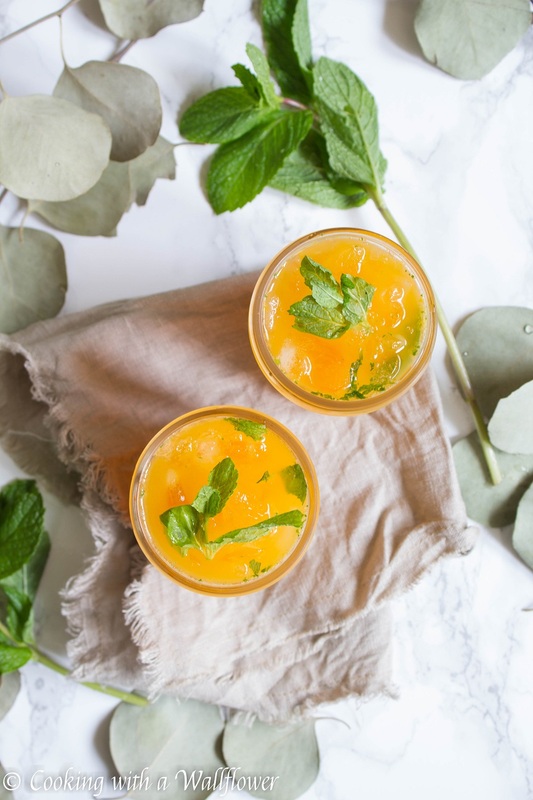 A citrus delight garnished with mint. Really lovely post! I am thinking clementines with a zest for life garnished with mint! I love your post! This sounds amazing! 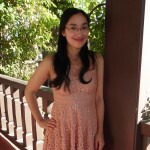 And the photos are beautiful!! Loving all these drinks! Looks good. I have a ton of mint in my garden. This looks awesome. I will certainly give it a go. What an amazing color, Andrea! It makes me thirsty.